Hello from the Windy City! Today was the first full day of VeeamON 2018 dedicated to all attendees, and there were great sessions and speakers! The first thing on the agenda was the general session, held by our President and Co-CEO Peter McKay, who showcased our new vision of providing the most complete Hyper-Availability Platform for Intelligent Data Management, which ensures business continuity, reduces risk and accelerates innovation. 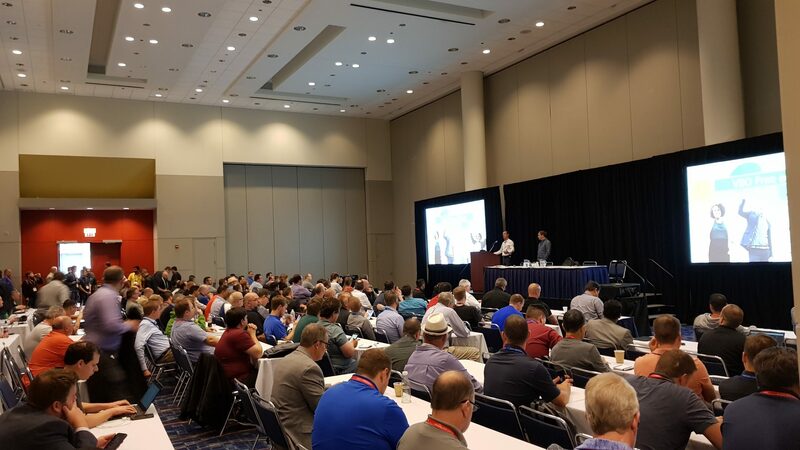 The general session was followed by breakout sessions, which were a gold mine for every IT expert at VeeamON Chicago. With the General Data Protection Regulation (GDPR) coming into effect this month, I was interested to learn more about it. I attended both Regulatory Compliance Considerations sessions, held by Veeam's Michael Cade, Mike Resseler and Mark Wong. They were very informative about the steps organizations need to take in order to be compliant, insisting on the fact that being compliant is not a one-time action, but a continuous process of implementing a set of principles. One of the key capabilities highlighted this year is Veeam DataLabs. DataLabs is the new name for Veeam’s virtual labs. The new name comes from the many innovations since 2010 when virtual labs were first introduced. DataLabs are capabilities in Veeam Availability Suite as well as Veeam Availability Orchestrator. They are a combination of critical application backups and network configuration that provides a safe environment for testing, audits, analytics, simulation and more. One of my favorite innovations over the years with DataLabs is that now they can be run from either a backup file, replicated VM or even a storage snapshot. These each have their own I/O performance and provide a gateway to Hyper-Availability. The possibilities are endless! My favorite session so far is Veeam Backup for Microsoft Office 365 2.0: What's New? 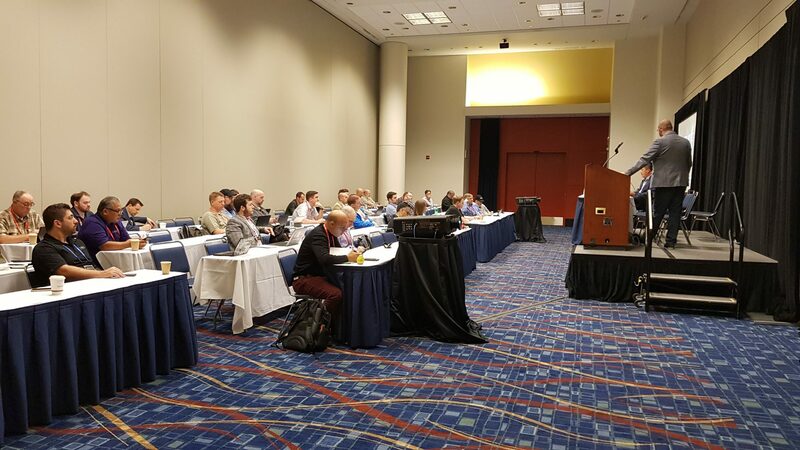 The room was a full house and I really hope everybody interested had access to the session, because some very interesting stuff is coming in version 2.0. This version includes best effort support (which means there is no SLA guarantee and it is typically limited to email-only support requests). *Please note that the feature-complete beta is available now and the GA version is coming soon. 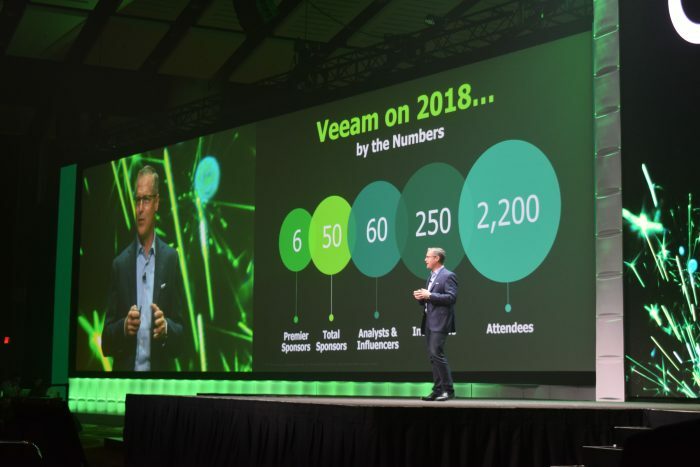 Did you miss the first day of VeeamON 2018? Read the summary here and check our Twitter account for pictures from the conference. If you want to get in touch, tweet me at @Cristi_Antonio! I will be back tomorrow with more news from the last day of VeeamON 2018.